The largest and most affordable Online Roof Bicycle Carriers Shop! Roof Bicycle Carriers shop the largest and most affordable! Do you want to buy a Roof Bicycle Carrier online? 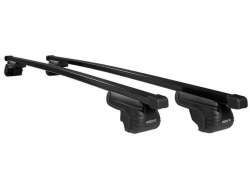 Hollandbikeshop.com has the Roof Bicycle Carrier you're looking for. The roof of your car is the perfect place for a bicycle carrier. The advantage of the roof carrier is that it leaves the tow bar free, for example to attach a caravan or trailer to. This does raise the total height of your car, so keep this in mind when you're driving into a parking garage. This bicycle carrier offers room for one bicycle per carrier, but you can place more than one carrier on the roof of your car. Don't forget to observe the maximum roof load of your car. 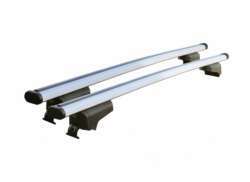 At Hollandbikeshop.com you can find a wide choice of Roof Bicycle Carriers by brands like Atera, Elite, Hapro and Thule. In our wide Roof Bicycle Carrier range on Hollandbikeshop.com, you can find Roof Bicycle Carriers in various colors, sizes and models, like roof boxes, bicycle carriers and load carriers. So you'll surely find the Roof Bicycle Carrier you're looking for. 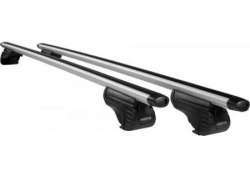 Hollandbikeshop.com is dealer of Bicycle Carriers for the Car Roof and has a large and affordable range. 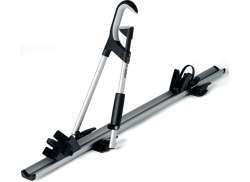 We also often have Roof Bicycle Carriers on sale or in our outlet, so keep an eye on our sale button. The largest and most affordable online Roof Bicycle Carrier bike shop!